I want to say this recipe is mine as it’s so delicious, but in fact I stole it from my Dad. He made it over Christmas, and I was weak for it. It’s really tough to pull me away from my favourite Butternut Squash and Coconut Milk Soup, but this is a strong contender. It’s so packed with flavour and the coconut milk makes it nice and filling, so if you have it for lunch, you won’t get the munchies again an hour later. It’s also really healthy, a great way to get lots of vitamins, minerals, fibre and spices into one steaming hot pot of goodness! 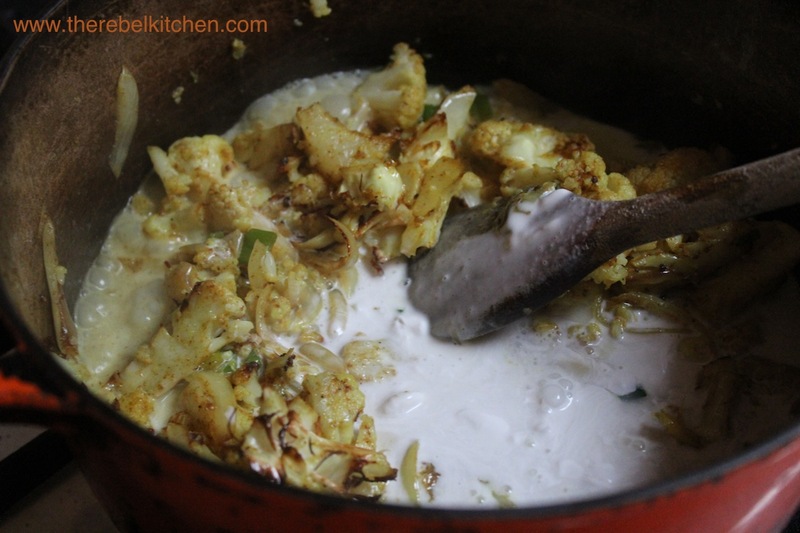 It’s also really easy to make and doesn’t involve much fresh ingredients apart from the two veggies (Cauliflower and Onion), everything else you will hopefully have in your press. 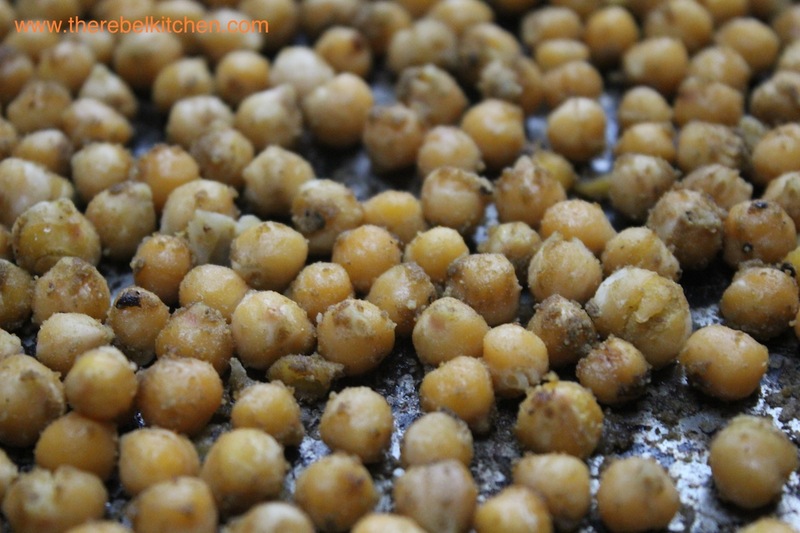 I made these Roasted Chickpeas after stumbling across a few photos of roasted chickpeas on Pinterest… I am a big chickpea fan, but the idea of roasting them blew my mind! 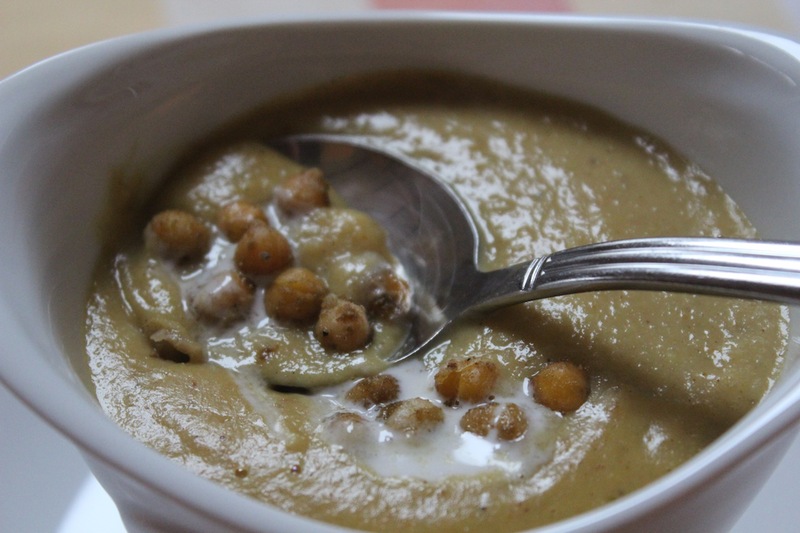 They not only taste delicious, and are a really filling and healthy topping for your soup, but they’re also a delicious snack to have in the kitchen. 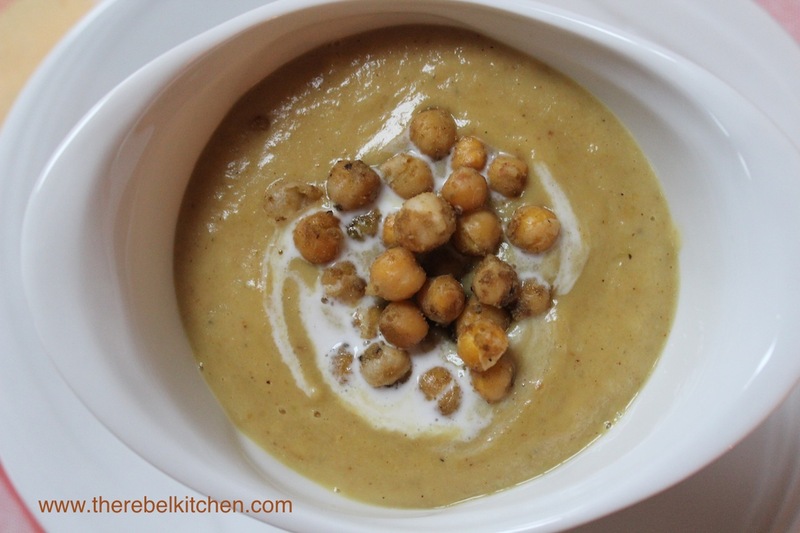 Make these, and they’ll be a regular on your recipe list (you can use whatever spices you like, but mine work really well with this particular soup). 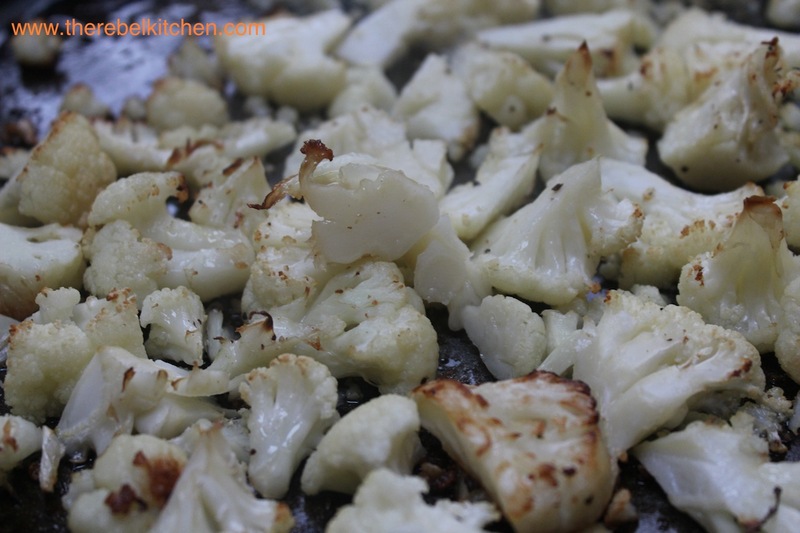 Pop the chopped cauliflower on a baking tray, toss in a little oil, salt and pepper and roast for 20 minutes in an oven preheated to 180C. In a large pot with a little oil, pop in the chopped onion and roasted cauliflower and sauté for 10 minutes until the onions are soft. Add the curry powder and stir for 3 minutes (you want the curry powder to cook so it infuses properly). Add in the coconut milk and stock, bring to the boil and then let it simmer for 30 minutes. Then liquidise with a hand blender. You can add a little more hot water/stock if it’s too thick for you. Season if necessary. 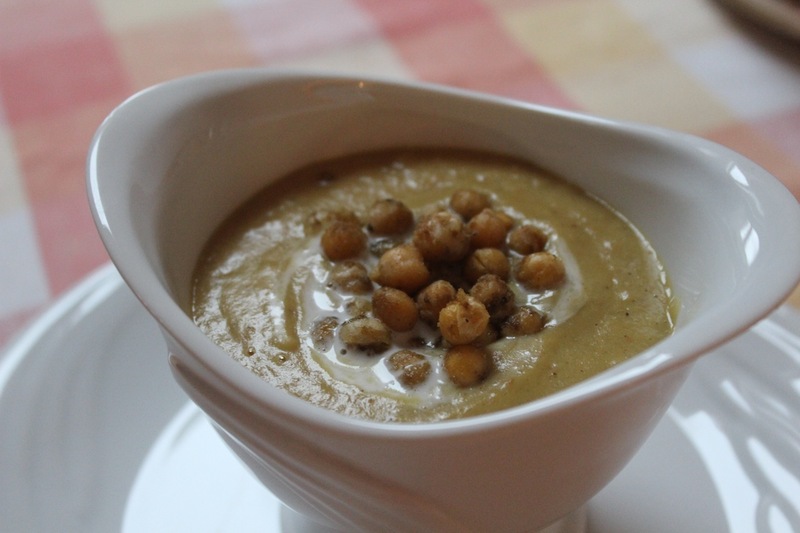 Serve with Roasted Chickpeas (recipe below). Mix together all ingredients and place in a roasting dish. Roast in an oven preheated to 180C for 20-25 minutes. This looks amazing. Will be back when the first head of cauli appears!